Four soldiers, including a Major, and two militants were killed after the Army foiled an infiltration bid at Gurez in Bandipore in north Kashmir. 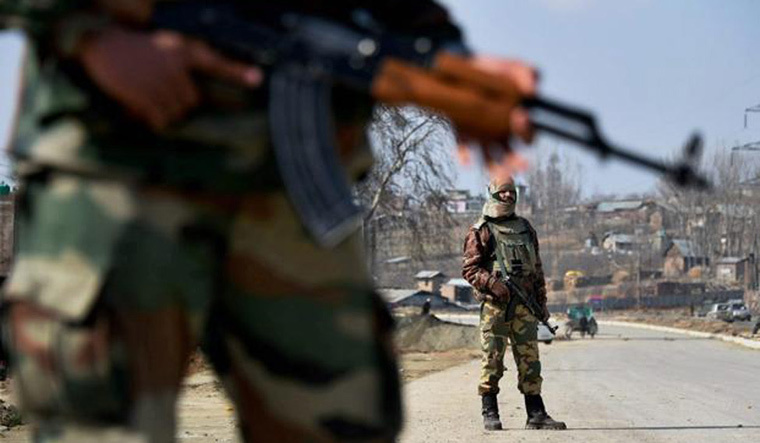 According to sources in the Army, a group of heavily armed militants from Pakistan-occupied-Kashmir sneaked into Gurez, upon which the soldiers of 36 Rashtriya Rifles(RR) intercepted them at Baktor near the Line of Control. In the ensuing encounter, four soldiers and two militants were killed in the initial contact. Army reinforcements have encircled the infiltrating militants. Sources suggest that the militants' casualty might go up by another three. Gurez, which is around 130 km from Srinagar and 80 km from Bandipore, is an unlikely area for infiltration. The militants, it seems, chose the area as other sectors on the LoC are heavily guarded and monitered round-the-clock. Bandipore SSP Sheikh Zulfikar told THE WEEK that they are collecting more details as the encounter has taken place at the extreme point on the LoC.